The Quad Neutron (Trademarked and Patented) is a four detector nuclear measurement tool specially designed for through pipe reservoir evaluation. 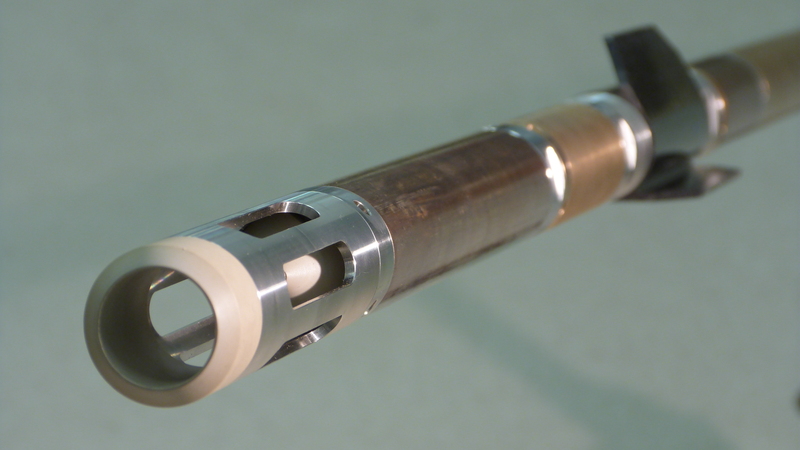 Two sets of detectors are positioned around a removable AmBe neutron source and housed in a 43mm OD down hole logging assembly called a Quad Neutron Tool (QNT), or “Quad”. Also in the Quad tool string are several supporting detectors. These include: Natural Gamma Ray, Split Spectrum Gamma Ray, CCL, Top and Bottom Temperature, Fluid Resistivity, and an Accelerometer. The Quad data bus and modular connector configuration enables attachment of many other detectors to be accommodated for specific applications. Specific deployment options in your area are available on the Operations page. 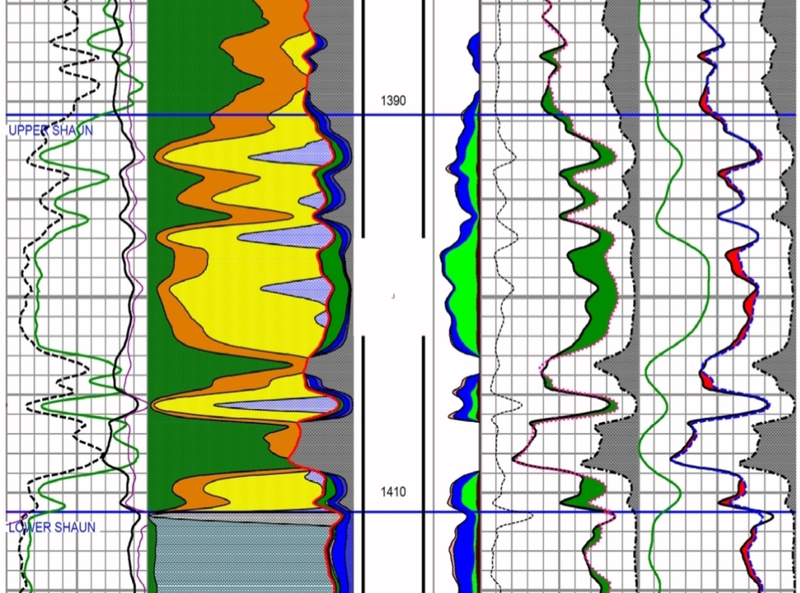 To fully appreciate the Quad and the lithology presentation(s), it is important to become familiar with several key concepts that govern the Quad measurements and presentation. These are generally described in the physics page, or contact your local representative for more detail. Once understood, the Quad Technology becomes a powerful and elegant tool. But the real test is results of real applications. A review of our collection of case histories reveals empirical Quad success where Open Hole, Pulse Neutron, Thermal-Epithermal Neutron, Dielectric, and Carbon/Oxygen measurements have been indeterminate.